You are here: Free Sunday School Lessons / Historical Theology / Baptists: Influence or Separate? Lesson 12: Baptists: Influence or Separate? The Northern Baptist Convention was established to combine the resources of eight societies. “Efficiency” was the word of the day. The societies competed for funds and duplicated tasks. Hence, to achieve “efficiency” it was a logical move to bring all of the societies under the umbrella of one organizational structure. According to Shailer Matthews, a spokesperson for the liberal contingency of the NBC, said the convention was established “to lead the denomination into larger sympathy with the modern world.” That is, the liberals sought to reign in and dominate the Baptist denomination for their liberal causes. As they adapted to the world, they denied the authority of the Bible, the virgin birth of Christ, and other cardinal truths. Rather than influencing the world, the liberals succumbed to it. Hence, there was no practical distinction between an unbeliever and a liberal, except the liberal wore the clergy garb. Hoping that the liberals would be driven from the Convention, fundamentalists began to implement a strategy in 1920 to that end. W. B. Riley was born in Greene County, Indiana, grew up on a tobacco farm in Kentucky, and accepted Christ at age 17. He wished to pursue the legal profession, but God called him to preach. After graduating from Hanover College (Presbyterian) in Indiana, he attended Southern Seminary (Southern Baptist) in Louisville from 1885 to 1888. . . . He served several churches in his early ministry before accepting what was to become a 45-year pastorate at First Baptist Church of Minneapolis, beginning in 1897. The 2,640 seats were filled regularly. Under his expositional preaching the church grew from 585 to 3,660 in membership by the time of his death. At the time of his retirement in 1943, one tenth of all the Baptists of Minnesota belonged to his church. Riley had a phenomenal ministry. by Gerald Priest, Ph.D. This task would not be easy for as early as 1893, W.B. Riley identified Unitarianism among the Baptists. Also before the 1900s, many were denying the deity of Christ and proposing new forms of the psychology. In 1920 W.B. Riley, John Roach Stratton, Frank Goodchild, and J.C. Massee gathered the fundamentalist contingency for a two-day rally at Buffalo, New York before the NBC convention meeting. This pre-convention strategy sought to “do battle royal” for the Baptist cause. The fundamentalists lost some key issues in 1920, however they did succeed in pulling the NBC out of the Interchurch Movement. Momentum began to build and the fundamentalists from then on began meeting for two–three day pre-convention meetings. As we saw last week, the fundamentalists lost in 1920, 1921, and 1922. However, the fundamentalists established the Fundamentalist Fellowship and remained in the NBC. This group was composed of two varieties of Fundamentalists – those who were of “generous spirit” (Massee, Goodchild, and Stratton) and those who were considered “radicals” (Riley). It seemed to many that pulling out of the NBC was a radical step. The NBC gave grants to many churches which indentured them to the convention. Those churches who accepted the grants were at risk of losing their property. The NBC gave retirement pensions to pastors in the NBC. Pulling out meant these pastors would lose their retirement savings. It was not until 1947 that they left the Convention. Rather, they were forced out for establishing the Conservative Baptist Foreign Mission Society in 1943. Having left the NBC, the Fundamentalist Fellowship organized into the Conservative Baptist Fellowship. T. T. Shields was born in Bristol, England and emigrated to Canada where he became an outstanding preacher of the gospel. He had begun preaching in 1894, three years after his conversion. Like Spurgeon, he had no formal educational training, but was self-taught. After several pastorates, he accepted the ministry of Jarvis Street Baptist Church in Toronto, where he preached for 45 years. He began in 1922 a periodical, The Gospel Witness in defense of Fundamentalism. His most bitter controversy involved McMaster University in Hamilton, Ontario. He was on the board of the school and forced to resign because of his outspoken criticism of modernism in the faculty. In 1926, he established the Toronto Baptist Seminary in the facilities of Jarvis Street. He also helped to found that year the Regular Baptist Missionary and Educational Society of Canada. After his church was ousted by the liberal-oriented Baptist Convention of Ontario and Quebec, he led Fundamentalists in forming the Union of Regular Baptist Churches of Ontario and Quebec. He was chosen president of the BBU, a position he occupied until 1930. His amillennial position was undoubtedly one reason for the disavowal of a premillennial statement in the BBU confession. Shields’ involvement in the Des Moines University debacle brought discredit to the BBU. by Gerald Priest, Ph.D.
he CBF established the Conservative Baptists of America, hoping to influence those within the NBC. They did not require churches to withdraw from the NBC to participate in the CBA. This policy undermined the doctrine of separation. Hence, twenty years after establishing the CBF, the fundamentalists found themselves having to establish themselves as the Fundamental Baptist Fellowship of America (1967). Some men were not content to organize themselves within the NBC. Though some of them remained in the NBC, they organized a separate organization on May 10–15, 1923 called the Baptist Bible Union. The Baptist Bible Union is what its name implies – a union of Baptists who believe the Bible to be the Word of God.
. . . The Baptist Bible Union exists to defend “the faith once for all delivered to the saints,” and believes this can be done only by taking the offensive and by declaring war on modernism everywhere. J. Frank Norris was born in Dadeville, Alabama and grew up in Texas in a drunkard’s home. One of the most controversial preachers in American history. . . . He graduated from Baylor University and Southern Seminary. Afterwards he accepted the pastorate of McKinney Ave. Baptist Church (Dallas) and then, in 1909, the First Baptist Church of Fort Worth. There he created a sensation by preaching against local vices. He “permanently adjourned” the Ladies Aid and fired the deacon board. When certain members of the church tried to have him ousted, he began holding revival services and gathered his own flock . 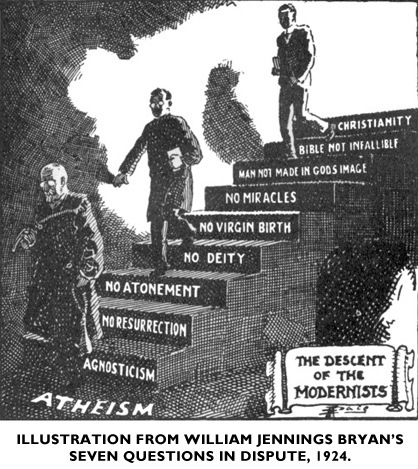 . . His paper, the Searchlight (later the Fundamentalist, after 1927) was outspoken in its criticism of modernism in both the Northern and Southern Baptist Conventions. . . . Known as the “Texas Tornado,” [Norris] was the outspoken leader of Fundamentalists in the South. The super church concept came into being with the Norris empire. After assuming the pastorate of the Temple Baptist Church in Detroit in 1934, he saw vast crowds attend his services. “First Baptist, Fort Worth, went from an average attendance of 500 in 1909 to 5,200 twenty years later. Temple Baptist, Detroit, had 800 members when he arrived and over 8,000 nine years later. In 1946, the two churches had a combined membership of 25,000″ (Robert Allen, ”J.Frank Norris: Church Builder,” Fundamentalist Journal [October 1982], 33). In 1928, Norris began the World Baptist Fellowship and the Bible Baptist Seminary in Fort Worth in 1928. Toward the end of his ministry Norris became even more dictatorial and offensive. He alienated or attacked nearly every friend he once had. by Gerald Priest, Ph.D.
. . Therefore, by resolution at the Kansas City meeting, the Bible Union decided to encourage its members absolutely to refuse longer to contribute money to any educational institution or missionary organization which refuses to avow its allegiance to the fundamentals of the faith.
. . . In closing this article I desire to emphasize the fact that the Baptist Bible Union is not a divisive movement. On the contrary, it is a Union which proposes the only possible basis of union and of cooperative action for true Baptists, namely, an acceptance of the Bible as the inspired and authoritative Word of God. For when Baptists abandon belief in the Bible as God’s Word they have surrendered the last logical reason for their separate existence. The membership consisted of “All those who endorse the aims and doctrinal basis of the Union, as set forth herein, shall be eligible for membership and such membership is in no wise intended to disturb existing Baptist affiliations.
. . . to present a united witness that the Bible is the very Word of God.
. . . to promote a deeper fellowship and a closer co-operation in all Christian activities among believers who hold a like precious faith and not to create a new convention or association.
. . . to promote such missionary work as represents and advocates clear Bible teaching.
. . . to approve, patronize and support such denominational schools and theological seminaries as unequivocally show themselves to be loyal to the inspiration and authority of the Bible and all the consequent fundamentals of our confession. . .
. . . Inasmuch as it has been widely stated that fellowship in the Baptist Bible Union is restricted to premillennarians, be it resolved that we here declare that the Baptist Bible Union welcomes to its membership all Baptists who sign it s confession of faith, whatever variation of interpretation they may hold on the millennial question consistent with belief in the personal, bodily second coming of Christ according to the Scriptures. Hence, the BBU laid out its resolutions. The resolutions are a strong, militant call to the Bible’s authority. Modernism and liberalism were strongly denounced. The BBU would only financially support mission work, educational institutions, and ministries that issue forth a clear call for the innerancy and infallibilty of the Word of God. For three short years, the BBU was growing phenomenally and mustering the fundamentalists into a strong union. When the BBU was birthed, it did not have a dime. By the close of the first year, it gained $5,404.22 of which they nearly entirely disbursed. Conferences and rallies were held. The Union men traveled around the country and were in great demand as special speakers. For example, it was common for T.T. Shields to be on the road all week and to arrive at his church just before the morning services on Sunday. In 1926, he traveled 40,000 miles for the cause of the Union. The “big three,” Norris, Shields, and Riley, all published newsletters which received wide distribution. They organized a missionary society and established headquarters in Chicago. The Union also set about the task of producing Sunday School materials. With the conferences, rallies, literature, and missions emphasis, the BBU experienced three great years. The BBU did not separate from liberalism. It sought to convert the Convention. Delnay quotes T.T. Shields reluctance to separate. The BBU did not separate from those who had the wrong eschatology. T.T. Shields was an amillinealist. Amillinealism denies that the Kingdom of God is future. As such, this belief undermines the philosophy of church ministry. For more discussion on how a wrong view of eschatology denies a biblical philosophy of ministry, see “Permeating Postmillinealism” on pp. ff. The BBU could not muster the votes to overthrow liberalism and modernism from the NBC. As the defeats came, discouragement settled in. Their energies and motivation started to wane. This was the “first nail” in the coffin lid of the BBU. Norris, no stranger to controversy. His caustic spirit colored the BBU in such a way that serious problems developed for the Union. One such incident was his shooting of Dexter Chipps. Norris, (who was referred to as the “Texas Tornado”) used his pulpit in Fort Worth Texas, and paper to attack, “Rum and Romanism.” Fort Worth’s mayor, a Roman Catholic, became the subject of frequent attacks. In his paper, Fundamentalist, Norris said that the mayor was not “fit to be manager of a hog pen.” His paper was widely distributed in the streets. Norris vowed to preach on this issue that Sunday. After his “manager of a hog pen” statement hit the streets, a friend of the Mayor, Dexter Chipps, went into Norris’ study and exchanged some harsh words. After the discussion, Chipps turned to leave and started to turn around. Norris pulled a gun out of his desk drawer and shot Chipps dead in his office. Norris claimed that Chipps “swung around and reached into his back pocket. In Texas, that gesture means only one thing.” Chipps was found buy the authorities to be unarmed. This incident received the world’s attention. Norris agreed to leave the BBU so that his reputation would not further scar the BBU’s cause. The school was a liberal arts school offering a wide variety of degrees. The 377 students came from all kinds of denominational backgrounds: Baptist, Methodist, Presbyterian, Brethren, Christian Science, Christian, Congregational, Reform, Evangelical, Lutheran, Friends (Quakers), Episcopal, Federated, Catholic, Latter Day Saints, Pentecostal, and Jewish. The faculty were a diverse group of Moderates, Liberals, and Fundamentalists. Instead of firing the faculty and beginning fresh, Shields tried to use the faculty and perhaps influence them toward the BBU cause. Since Shields was a pastor in Canada, he had strong Canadian loyalties. His secretary at the school was also Canadian. The Canadian sentiments were not accepted well for Shields did not prefer that the Star Spangled Banner be sung in chapel, rather God Save the King. On one occasion, Shield’s secretary refused to stand while the Star Spangled Banner was sung in chapel. Shields also tried to remove the American flag from the flagpole. Resentment led to the hazing of certain Canadian students. Needing to find a more permanent president, Shields hired Harry Wayman. This appointment was made in haste. It was only 2–3 weeks from the time his name was proposed til he became president. To further conflict the issue, Wayman was lettered with the A.B., A.M., Th.B., Th.M., Th.D., Litt.D (twice), and D.D. degrees from such places as Oxford University. Research proved, later, that many of these degrees were bogus. This did not set well with the students. For, Shields, only one month before this revelation had preached against the liberal Baptist Canadian Union for entertaining men with bogus degrees. The situation at Des Moines was electric. Moderates on the faculty were not pleased with the fundamentalist regime. Shields filled the chapel pulpit with fundamental preachers, raising considerable angst among the liberal faculty and students. Knowing that the situation called for an overhaul, Shields moved that the entire University reorganize by firing all administrators and faculty. He resolved that any who wanted a position had to reapply by filing an application with his secretary. “When the mob broke into the office, perhaps a hundred strong, they swarmed through the place. Opening the washroom door they found the one Trustee standing. With the cry of “Here is one of them,” they pulled him into the crowd. But as soon as the cry was raised it was answered with cries of “Beat him up,” “Beat him up,” “Get Shields.” When they found this particular Trustee was not the President of the Board, they said, “This is not the man we want,” and he was conducted to safety. At this point we may report that only today a certain man read to us a letter from one of the students who had participated in the riot – and who boasted of having done so – in which he said that if the mob could have got their hands on Shields, that night they would undoubtedly have murdered him . . . Even the administration building was swarmed with rioters when the police walked in, and though they had broken windows and forced the doors and were in a place where they had no legal right to be at such an hour, not a single arrest was made. The campus was shut down and laid deserted. The BBU would never recover from the incident. The BBU fiasco brings disdain on the movement of fundamentalism. Personalities like Norris and the administrative folly of Shields tend to overshadow the great causes of fundamentalists. 1. Fundamentalism is not divisive, rather it seeks to unify those who subscribe to the Bible’s teaching. 2. The right cause must be carried out the right way. 3. The authority of Scripture must be defended and proclaimed. 4. As David Beale notes: “. . . the pursuit of holiness is a pilgrimage that no truly spiritual person or movement can claim to have attained in this life.” Holiness is a pursuit that is carried out by fallible believers. 5. Movements cannot survive if they allow compromise on biblical issues. The cardinal doctrine must never be abdicated. Neither should other important doctrines be overlooked which have a large volume of testimony in Scripture (e.g., premillineal eschatology). Statement by Curtis Lee Laws in the Watchman-Examiner. Terms used by McBeth, History, 577. By-Laws and Resolutions of the Baptist Bible Union of America, Watchman-Examiner, May 24, 1923. David Beale, “In Pursuit of Purity (BJU Press, 1986), 232. Those doctrines which are necessary for salvation. As I mentioned on my submission, I’m not cozy sharing my address and telephone number with all that would like to learn it on the net. Is it achievable for us to email it to you or perchance the victor could be got hold of by electronic mail? I just added your blog site to my blog roll, I pray you would think about doing the same.